Samsung Electronics Co.'s share of the Chinese smartphone market for the second quarter is estimated at 3 percent, data showed Wednesday, remaining in doldrums as Chinese rivals continued to roll out price-competitive models. 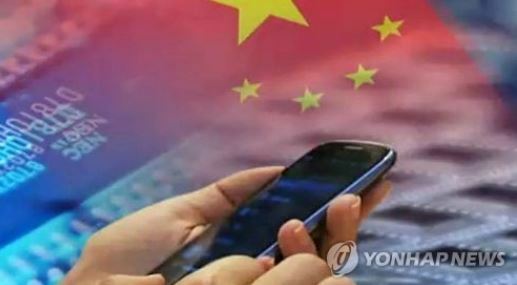 According to the data compiled by Counterpoint Research, Chinese smartphone makers took up 87 percent of their home market in the April-June period. The top four brands -- Huawei Technologies Co., OPPO Electronics, Vivo Mobile Communications Co., and Xiaomi Inc. -- took up 69 percent, it added. "Huawei and Vivo were the fastest-growing brands followed by OPPO and Xiaomi, together cementing the top four spots and extending their lead over Apple and Samsung by a wide margin," the researcher said. Following the strong dominance of Chinese players, Samsung, a major global smartphone maker, managed a poor showing in the April-June period, down from 7 percent posted a year earlier.